Update: Mobile internet was restored in Arsal in September 2017, over three years after it was cut off, according to Arsal residents SMEX contacted. We have attempted to reach both mobile operators Alfa and touch to request more information about the resumption of mobile internet services in the town, but neither company has responded to our inquiries. The residents of the Lebanese town of Arsal have been denied access to the 3G and 4G mobile networks for over two years. This measure, taken for security reasons according to government officials, adds a significant financial burden on the town’s residents. It is also a violation of their digital rights and other associated rights, especially the rights to free expression and access to information. 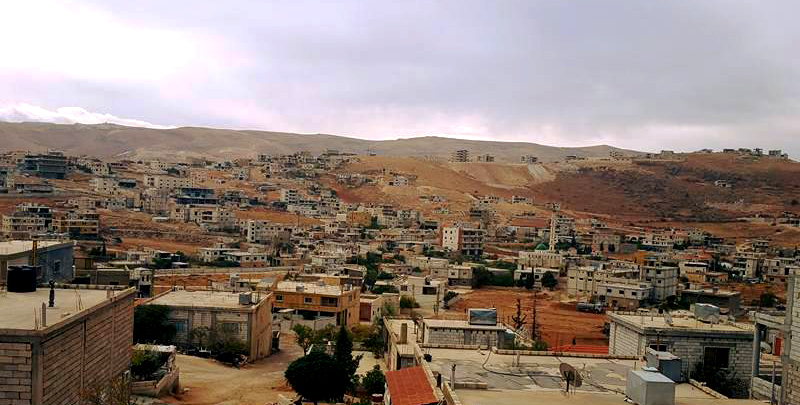 The 160,000 residents of the northeastern border town of Arsal, including both locals and Syrian refugees, have been deprived since August 2, 2014, of 3G and 4G mobile internet service according to local civil society activists. Access was cut off by mobile telecom operators Alfa and touch after fighters from al-Nusra Front and the Islamic State in Iraq and Syria (ISIS) raided the town of Arsal and kidnapped 27 Lebanese soldiers and a member of the Lebanese security forces, holding them hostage in the hills of Arsal. Other individuals from the area have also called Alfa and touch to protest the shutdown and ask for an explanation. Activist Bassem Atrash questioned the two companies’ customer care representatives several times in 2015 and 2016. The response, he says, was, “Really? The internet is cut off in Arsal?” He understood it as an attempt to feign ignorance or to avoid having to provide an explanation. Atrash has observed that “3G and 4G services reconnect automatically as soon as he leaves Arsal to go to neighboring villages. In northern Lebanon, where poverty rates are among the highest in the country, IDM services are simply too costly for many residents. As a consequence of restricting mobile internet service within the town, IDM, an internet service provider (ISP) licensed by the state, is the only source available to Arsal’s residents. This means they cannot access the internet legally, except in their homes or workplaces, and have no access when moving around town. It also means they are subject to increased costs. As Atrash notes, despite not having consistent service, “I still activate the service monthly because I visit these villages two or three times a week and I use it there.” IDM’s cheapest plan, offering 2M-10GB, costs $12/month, in addition to the installation fees. In contrast, mobile plans for 24 or 48 hours (giving access to instant messaging apps) are as cheap as $1, allowing hourly wage workers to communicate with their loved ones in case of an emergency.cIn northern Lebanon, where poverty rates are among the highest in the country, IDM services are simply too costly for many residents. As a result, many people in the area are deprived of internet access and unable to communicate with others online. Unlike many people, Atrash can afford a monthly plan. He pays “50,000 Lebanese pounds monthly (about $33) for very weak internet service that sometimes cuts off for an hour or longer, especially during storms,” he says. Despite the absence of a provision that explicitly guarantees the right of access to the internet, the Telecommunications Law 431 (2002), which regulates telecommunications services, provides that internet service is part of public telecommunications services. This law requires providers of these services to ensure their access by all citizens and residents in all regions, so access to the internet, as a public service, is enshrined by law. This leads us to question the legal basis on which the Lebanese state can deprive an entire town of a basic public service in the digital age. For the past two years, the town of Arsal has been physically cordoned off from the rest of the country with checkpoints and heightened security measures. The town has also witnessed repeated clashes between the Lebanese army and extremist militant groups. This has left the residents not only subject to acts of violence, but also unable to convey news to the outside world. The Crisis Group, an organization providing analysis of conflicts, has reported allegations of human rights abuse by security officers. Such reports become more difficult to corroborate and verify when those most affected don’t have the ability to easily communicate with others. Without legal basis for the disruption of the lives of 160,000 people and in the absence of clear communication from government officials, residents are left vulnerable and further isolated in this remote border town. Editor’s Note: SMEX contacted Lebanon’s two telecommunications companies and the office of Telecommunications Minister Jamal al-Jarrah for comment, but did not receive a response by the time of publication. This article was translated from Arabic by Nadine Saliba. Elham Barjas is a journalist at the Legal Agenda who documents and reports on judicial processes and legal procedures with the goal of advancing human rights in Lebanon. Elham is currently also writing her master's thesis on constitutional law. Her work has been featured in the Legal Agenda, Al-Modon, and Al-Akhbar, among others.